Preventive dentistry is the practice of caring for the oral health to avoid cavities, oral diseases, and enamel wear. It also aims to lessen the possibility of systemic diseases that are linked to poor oral health. We are totally committed to ‘Preventative Dentistry’ here at your local Maroubra dentist. 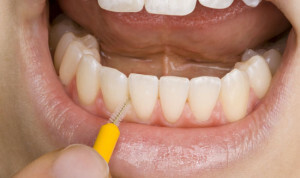 This practice of dentistry basically prevents the two most common issues of tooth loss: decay and gum disease. So the better we prevent factors that may cause decay or gum disease, the more likely it is for us to keep our teeth healthy and have them for life. Remember, unlike our primary teeth (also known as baby teeth), permanent teeth, once removed, cannot grow back again. Of course, it is very important to remember that you and your dentist in Maroubra should be a team and work together to prevent tooth loss and other oral health problems. No matter how hard our dentist works on our oral health, if we go off and stop caring for our teeth, the dentist’s treatments still won’t work. Remember, though dentists are extensively trained and qualified to provide oral health care, it is still our own responsibility to care for our own teeth! What are the different ways to prevent oral health problems? Brushing properly at least twice a day (consider using a dentist-prescribed fluoride toothpaste to help mineralise and strengthen your teeth). Using a small-sized head toothbrush with soft bristles to gently clean the teeth. Brushing your teeth before breakfast and NOT afterwards. The process of eating already weakens the enamel and brushing it immediately after only leaves the teeth more vulnerable (sometimes, it can really cause damage to the teeth). Brushing your teeth before going to bed. Saliva helps prevent your mouth from becoming too acidic. Unfortunately, the production of saliva decreases when we go to sleep; so, brushing before going to bed can protect your teeth while saliva production is minimised. Proper flossing (people with braces should also consider using floss threaders to clean between the metal brackets). Changing your toothbrush at least three to four times a year, or as soon as you see the bristles fray. Consider using mouthwashes, especially those with anti-bacterial properties. Eating a balanced diet to give your teeth the proper amount of nutrients to stay healthy. You can also try minimising your sugar intake as this can damage the teeth, too. Using a straw when drinking. This helps the drink to go directly to the back of your mouth, thus avoiding contact to any of your teeth. Routine X-rays or digital radiography every six months to detect any small decay inside the teeth. Applying pit and fissure sealants to coat the teeth and protect it from decay. Advising to put fillings, crowns, or onlay to protect weak teeth. Creating a customised mouth guard or night guard for you, if necessary. Educating patients in how to properly take care of their oral health. Prescribing what dental products would be best for you to use at home, with regard to your oral health needs. Aside from greatly minimising the likelihood of getting oral diseases or other oral health problems, practicing preventative dentistry saves you a lot of money, too! You may think that it doesn’t, since you’ll regularly be paying for routine checkups and exams. But, if you look at the long term, spending a few dollars now would look so much more inexpensive, than the cost it would take to treat complicated oral problems and other systemic diseases that are linked to poor oral health (such as heart problems). Should children also practice preventive dentistry? Absolutely! We recommend that you bring your child to your dentist in Maroubra as soon as his first tooth erupts so the dental team can monitor the growth of his tooth and ensure its health, as well as monitor and determine how son the other teeth will erupt. By taking X-rays, your dentist can see whether a tooth will be problematic as it grows or not. The sooner you and the dentist know- before it actually happens- the more beneficial it is for your child.